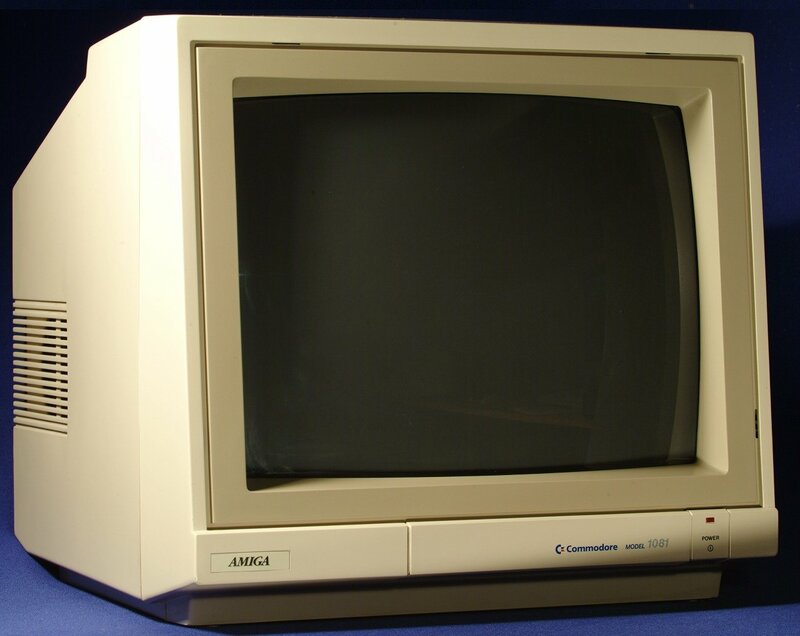 A clone of this monitor was also manufactured by Vorbis called the Highscreen KP548. An Amiga monitor with 2 modes: full color and green/black andbuilt-in speaker, which supports PAL and NTSC modes and connects to the Amiga's 23pin video port. Most of the controls are located behind the flap on the front of the monitor. A standard failure is for the monitor to "pop," then go dark. Hitting it may bring back the picture. This is often caused by cold or cracked solder joints on the flyback transformer, which resoldering should cure. Power consumption: 75 W typ. Page contributors: Matěj Wolf Holyszewski, Peter Braechter, RiWa & Friends.